I am still feeling emotionally exhausted from last night's series finale of How I Met Your Mother. If you've never seen the show... basically it's a dad telling his two teenage kids the story of how he met their mother. The narration goes on in the year 2030. The events of the show are from the year 2005 until now with the father and his four best friends. Throughout the entire series (nine years worth!) it shows the father, Ted, in failed relationship after failed relationship and the whole time it seems like he can't get over his friend Robin. The show gives glimpses of The Mother and how they almost met several times before they actually do. Last night concentrated on the moment he actually met the mother and flashed ahead to wrap up the story lines of each character. You find out that he is telling the kids the story six years after their mother's death. They comment (what fans of the show have said all along) that the story is more about how he met their "Aunt" Robin. (not their real aunt). They tell him that if he's asking for their permission to date Aunt Robin, he's got it. And so he ends up with Robin. The sad thing about knowing the whole story is that when you know the end of the story, it means that the story is over. That's why I try to pace myself on knowing MY whole story. I think if we knew from the outset all the things we were going to deal with in a lifetime, we could never go on. Having good times in between the bad times gives us the courage and hope to keep going. We can't handle the whole truth so God never gives it to us all at once. I'm often reminded that He gives us our DAILY bread. I may not know where tomorrow's bread is coming from... or the bread for a month or a year from now... but I know He's never failed to give me my daily bread. I certainly never imagined THIS life for me - the pain, the long wait for disability approval, the loss of so many things that I want to do - I would have never been able to face it. However, I could never have imagined THIS life being so full of blessings and the beautiful way that God provides and how He moves our story along so that I can begin to see resolution. I could never have imagined this large house with room for us all, a lake view and the comfort and companionship of all our fur babies. For a time all I could see was struggle and although there are so many unanswered questions, I've gotten a lot of answers, too. The whole time Ted was telling the story he carried the weight of having found the love of a woman who gave him two kids and everything he dreamed of... yet knew that he only had it for a brief time. All of life is about dreaming of what we want, having what we want and remembering how wonderful it was when we had what we wanted. I don't believe we ever have it all at once and that's ok. We carry the hope within us of good things to come because even if we're past good things - especially if we're past good things - we know that it can happen. I didn't intend to wax philosophical over a tv show but it was a great show and a great feeling last night to put all that together. Today the parents and the kid are at the DMV trying to get their drivers licenses updated to the correct address and to renew Austin's learner's permit. At 20 Austin still hasn't driven much. I think he will be a good driver from the perspective that he plays a lot of video games and has that eye hand coordination thing down. I think that he is still very immature and his decision making process is still not where it should be for taking on the responsibility of driving a car. He still does a lot of rash, impulsive things. He has a very short temper and sometimes imagines offense where there is none intended. I worry about him having road rage. HOWEVER part of his vocational rehab process is that they want him to have his drivers license so the first step is having his learners permit renewed. In Georgia there is a huge effort to verify legal residents which means that drivers have to show an unbelievable amount of documentation that they are who they are and they live where they say they live. Once you go through the process once, you're good. My parents and Austin have not gone through the process yet. It's tricky with Austin (and myself) to prove where we live since our names are not on the deed to the house or on any utility bills. You're required to show two documents that prove where you live. Austin got a letter from the Vocational Rehab people which is a state program. We hope that will be sufficient. If not, I sent MY birth certificate so Austin can show that he is related to my parents which hopefully will allow him to use their proof of residence. My mom can prove that she is married to my dad but she doesn't have her birth certificate. So they may go all that way and not accomplish what they set out to do. While they're down in civilization I'm on Dog Duty. So far everyone is sleeping. Little Kitty is miffed that I'm cuddling with the Little Doggie instead of him. He gets impish when he is displeased. He acted out by trying to sneak the Little Doggie's food which he KNOWS makes the Little Doggie growl and bark. Kitty was also upset that I put on makeup this morning. He kept trying to take the mascara out of my hand. He really believes he is the Alpha Male in our relationship... so bossy! Last night while I was still in my emotional stupor over How I Met Your Mother, I was walking toward the bedroom and Little Kitty rushed past me (he has to be first) and I stumbled over him. My back is so delicate that any sudden movement knocks things out of place. It's been complete misery ever since. This time it's more in my left hip. I'm also having a lot more trouble with my hands aching and going numb. This could mean that the arthritis is affecting higher levels of my spine but... we won't know until/unless we do another MRI. I just have to be patient. In the end whatever is meant to be will be. A blog friend (that I met in real life) lost her father last week. He was only 62. 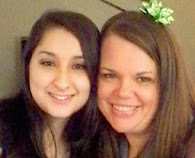 A real life friend (that I only have contact with online lately) lost her 21 year old niece Sunday night. Life sometimes brings "The End" sooner than we expect. We don't have a contract for a certain number of seasons. I have another blog friend (that I've met in real life) that is going through a time of real discouragement. We have to enjoy every episode of our story as it comes and find reasons to keep watching even when you don't like the story line. Keep going until you reach The End as God has written it. Hope you have a great Tuesday, y'all. We're enjoying bright sunshine today and I'm going to soak up some fresh air. Love and hugs! I never got into HIMYM. I watched a few shows in the beginning but that was it. Thanks for explaining the whole concept because I didn't get it. Spring is trying to make a showing in the north east but it's not succeeding. It's already April. 1/4 of the year is history. I hope you can rest your back and joints and feel better soon. I'm still keeping my fingers crossed for your SS to be approved.